This field first aid and surgical set is packaged in a clear plastic bag and includes a M.O.L.L.E. compatible Cordura nylon bag to carry all of its contents. All of the surgical instruments are constructed of solid stainless steel. These are ancient and can be rusted.....penlite batts dead for sure and not replacable. Most come w/o sutures as someone stole them before shipping. Beware!! This is a poor copy of a US military set (I thot it was issue). This stuff is from India and says 'not for surgery' on the pieces. Some pieces good; some mediocre with rough edges, poor polishing, etc. Acceptable for emergencies but.... My flashlight was a really cheap plastic unit that requires the top tightened to turn on... problem is it is 'on' as soon as you attempt to just connect the cap/bulb to the battery casing. love the kit, its just what I wanted! the snap is a bit loose but sufficient for my needs. I only wish there was a way to stock up on the suture sets to say one is enough at my house is laughable. I have 4 sons and one hubby always getting in to scrapes, let me know where I can buy those in bulk and you'll have a friend for life! 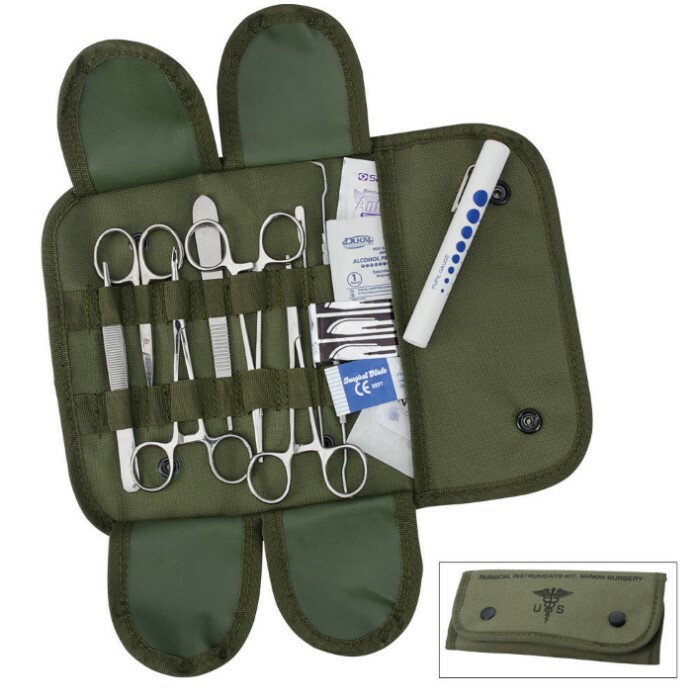 When you are deep in country with just your unit to rely on this fine surgical kit could assure every team member a healhy trip back home. Sutures, scaple, hemostate set are high quality manufacutred grade. 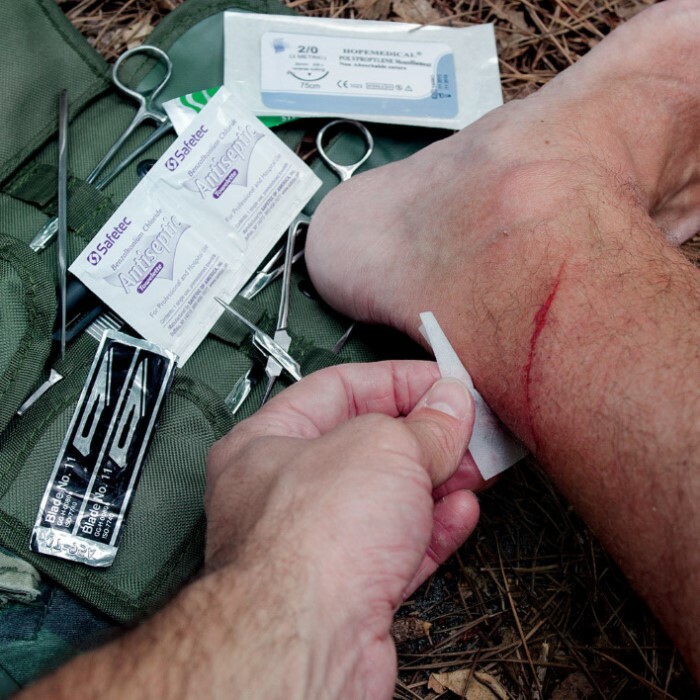 Well worth the money spent if someone needs to be sutured due to untimely wound. 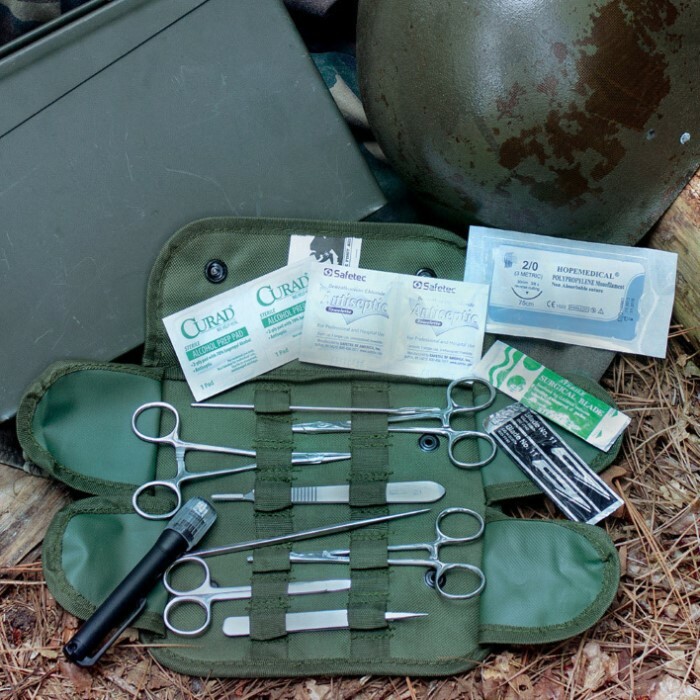 Thanks for providing quality tools for a first responder / EMT / Medic in the field. Ron C.